Since the birth of my son, I have been trying to be as natural as possible with all aspects of his life. Non-medicated birth, exclusive breastfeeding, homemade purees... so I decided to continue and make a natural, homemade moisturizing lotion. After a bit of research, I was inspired rawmazing to create my own recipe. You can change the Essential Oil to modify the smell to your liking. The Calendula Oil is for added healing properties, you can leave it out or change it to another oil of your choosing. 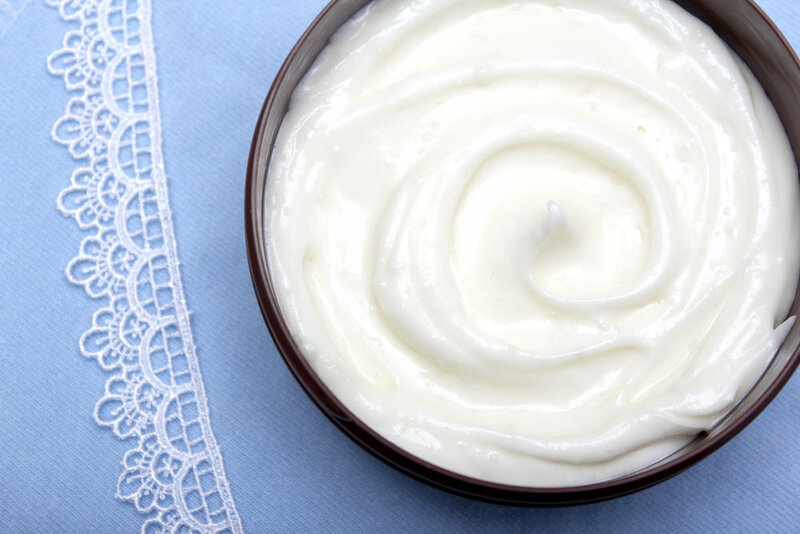 You can also increase the quantity to make the lotion creamier. 1. Melt all ingredients on low heat. 2. Let cool until semi-hard. It's important to let the mix solidify slightly, otherwise the lotion will not whip. It may take some time, to speed things up put in the fridge. 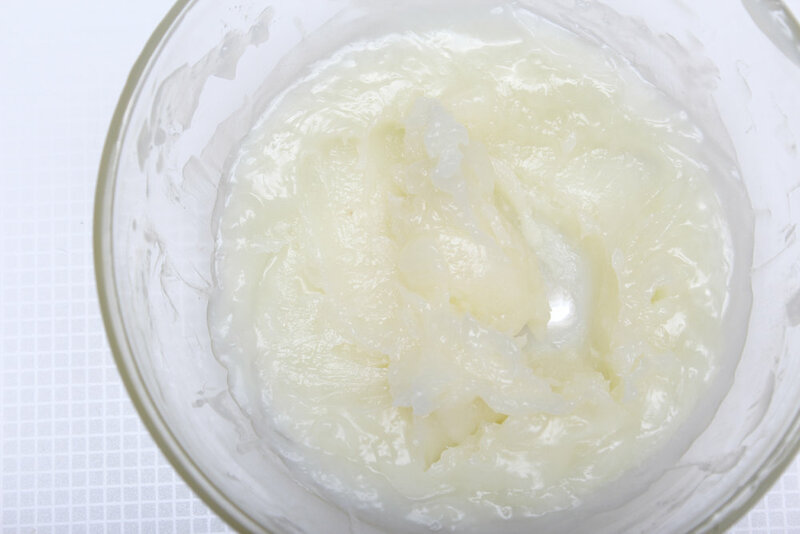 The lotion will solidify since both Coconut Oil and Shea Butter are solids at room temperature. Skin contact melts it instantly and the oils absorb quickly. The mixture is shelf stable. If you are planning on making big batches (or taking a really long time to use your lotion), you can also add a drop of Vitamin E as a preservative agent. All the ingredients have a long shelf stable life, so you shouldn't need to. Stay tuned for my lip balm and eatable lip gloss recipes. How would you personalize this lotion? Coconut Oil is moisturizing, anti-inflammatory, anti-aging, anti-fungal, anti-viral, anti-bacterial and helps with healing. Shea Butter moisturizes, is anti-inflammatory, anti-aging and helps with healing. Calendula Oil is moisturizing, anti-inflammatory and anti-fungal. Eucalyptus Oil is anti-inflammatory, anti-bacterial, antiseptic, deodorant and decongestant. Disclaimer: This recipe is homemade. I am not a health professional, I am simply a mother trying to find simple and chemical-free solutions for my family. This lotion works great for us but it may not work for you and I take no responsibility for that. Disclosure: This post contains affiliate links. I will be compensated if you make a purchase after clicking them.